If you aren’t convinced that the internet is completely taking over our lives, keep reading. In our quest for data and efficiency, we humans have really outdone ourselves in creating some truly inspiring, and some down-right weird, connected devices. We’ve managed to network plants. Some years ago, a company called NaturalFuse started a project to network house plants together throughout an entire city in order to offset an individual’s carbon footprint. The plant containers house a box that connects to a device—in this case a fan, a light or a clock—and also to the web. When the device is turned on, it draws some power from the plant while watering it. This keeps the plant alive and absorbing CO2 while decreasing the amount of electricity needed. The system knows how many devices are in use at any one time across the city, so it knows how much CO2 needs to be absorbed. The goal is to keep the entire network in equilibrium, so no power is being consumed that isn’t also being balanced out by the CO2 absorption. To be fair, this company vastly overestimated just how much CO2 a house plant can absorb. They figured out that they would need about 360 plants to offset a 50w light bulb. Some redesigns are certainly called for here, but it’s certainly a valiant cause. Connected cattle. This one is actually genius. Ranchers are beginning to implant chips into the ears of every animal they own. The data is collected in a database via the internet, from which ranchers can monitor the health of their animals. 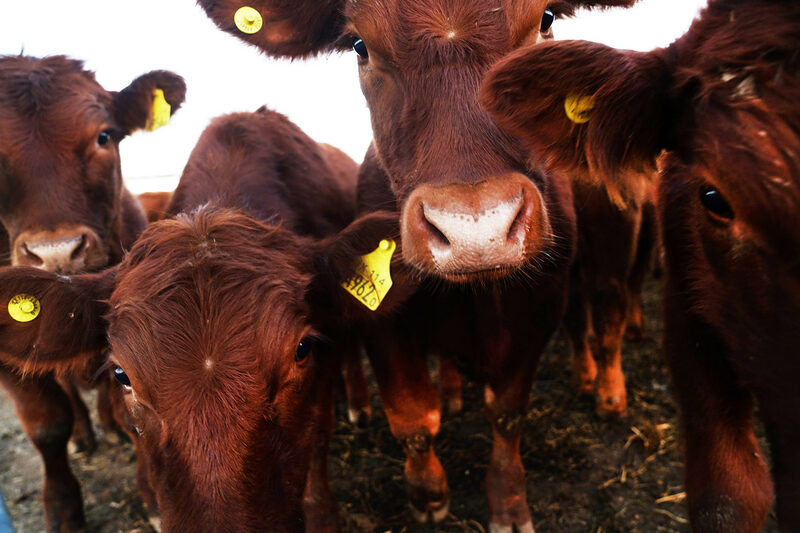 If a particular cow is showing signs of illness, the rancher can separate that animal right away and get it treatment before it’s symptoms become worse or spread to the rest of the herd. This can save 1000s of lives among the cattle and improve the livelihoods of many farmers and ranchers worldwide. The chips can also alert ranchers when a cow is pregnant, so they can begin monitoring the health of the calf sooner than ever before. A Dutch company called Sparked started this trend some years ago and it has swept across the Netherlands. With each cow sending around 200 megabytes of data per year, the 1.5 million cows across the country are sending roughly 300 billion megabytes a year across the web! I’m not sure if anything can really replace the sound kids love of metal hitting porcelain when they drop a coin into their bank, but the folks over at Spiral Toys are certainly going to try. Their piggy bank, Wiggy, has an app that connects to the parents’ bank account. Parents can set up specific amounts to be transferred for specific chores and even set up savings goals for the child. The toy can still be shaken, oink and light up to make it fun and interactive for the child. I’m not sure it’ll replace that satisfying “clink-clink” of dropping in coins but Spiral Toys sure seems to think it will. 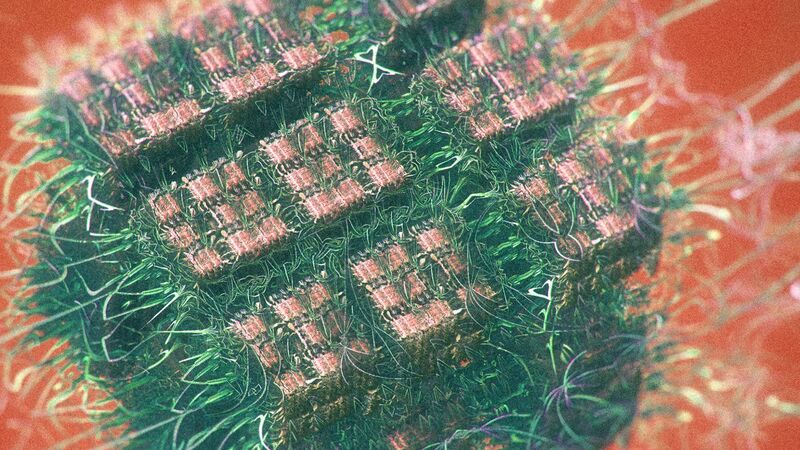 The internet is literally in our bodies. Some serious debate has been going on ever since the first of these devices was installed however. If a person’s heart is connected to the internet, how long is it before someone figures out how to hack it! 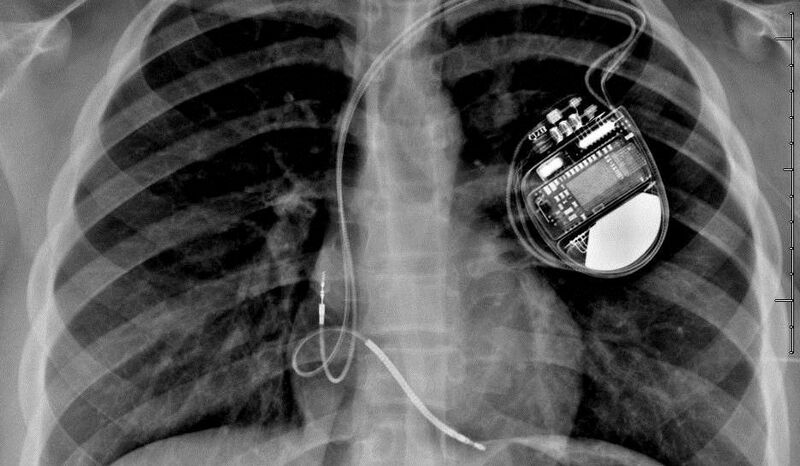 Ever since the first wireless pacemaker was installed in 2009, security measures have been evolving to protect the growing amounts of data being transmitted. For many, though, the benefits outweigh the risks. Pacemakers monitor heart rates and can alert emergency services immediately if they are needed. Many devices are now also MRI safe and last much longer than before. C’mon parents, really? I was under the impression that babies already had a great built-in alert system for dirty diapers called “crying”, but a company called Diaper+ wants to help out just in case parents or caretakers miss the signals: now you get a text as well! The sensors in the diaper sense moisture and send an SMS message to the connected devices. Where I think this product can really shine though, is with the elderly. It can really help someone preserve their dignity by preventing them from having to verbally communicate what’s happened to a relative or caregiver. What else have you seen out in the world that you never expected to see connected to the web? Are these innovations helpful, or a hindrance? Let us know! Brian Thomas is a contributor to Enlightened Digital, long-distance cyclist, and lifelong advocate for women in business from Philadelphia. ‘Tech and business are my lifeblood, but I’m also a fanatic of brewpubs and just about every sports team in Philadelphia’, – says Brian about himself.